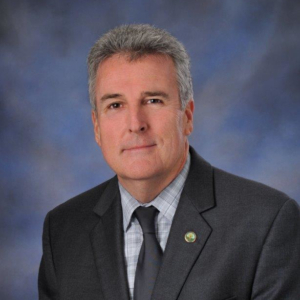 Robert R. “Bobby” Green is the City Manager for the City of Auburndale, a position he has held since 1991. Green received his Associate of Arts degree from Polk State College in 1985. He was named a Harry S. Truman Scholar in 1986 and received his Bachelor’s Degree in Public Administration from the University of Central Florida in 1987. He received his Master’s Degree in Public Administration from the University of South Florida in 1988. As one of only four city managers in the City of Auburndale since 1949, Green has devoted his career to improving the quality of life for the citizens in the community. He has been recognized for developing his assistant city managers to become managers and for mentoring others within his profession. In 2013, Green was named Citizen of the Year by the Auburndale Chamber of Commerce and October 2013, the Robert R. Green International City/County Student Chapter at the University of South Florida was renamed in his honor. In the same year, he was also named Polk State College’s Distinguished Alumnus of the Year. In 2014, Green was elected secretary/treasurer of the Florida City/County Management Association and went on to serve as President of the Florida City/County Management Association. In 2016 he was recognized as a finalist for the Route Fifty Navigator Awards as one of the top ten leaders in state and local government throughout the United States for his efforts in fostering the next generation of local government managers.